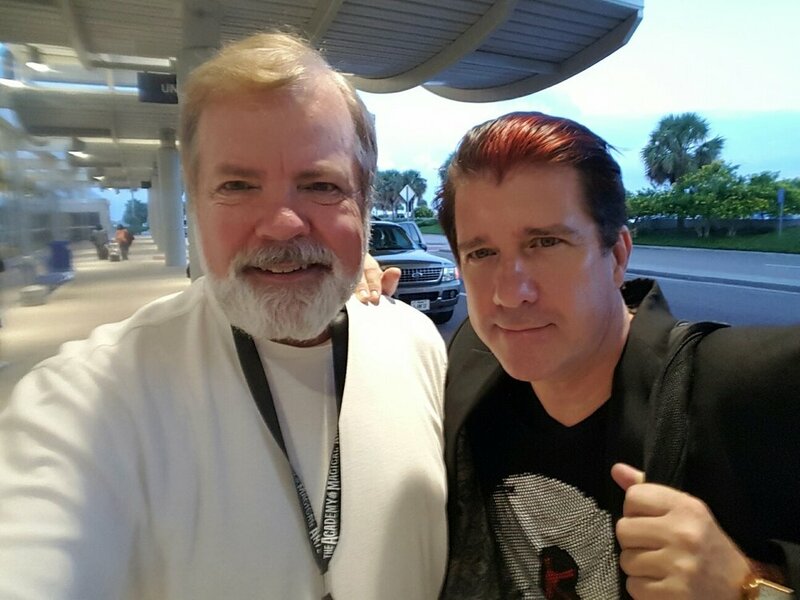 Trigg presents his unique blend of tech-magic for legendary magicians Penn & Teller "Fool Us"
00:00:14 - Banachek talks about some of his latest adventures plus reminisces about working in the Corpus Christi comedy club and other T.A.O.M. conventions. 00:16:28 - David Thomas was the director of Six Flags theme park productions for many years and he tells us how he selected magicians for working the parks. 00:22:27 - We continue our chat with David Thomas following David Stone's lecture. 00:32:36 - Trigg Watson talks about performing for Pann & Teller Fool Us television show plus preparing for contests and other TV shows. 00:38:37 - Close-up competitor, John Dahlinger (with whom we chatted on the first day) won the close-up competition and we do a follow-up chat. 00:42:46 - David Stone was busy today with an early morning lecture followed by his "professional close-up show" then the evening's finial stage gala. He unwinds a little with us at the President's Party. Tagged with Texas Association of Magicians, Corpus Christi, Banachek, David Stone, David Thomas, Trigg Watson, John Dahlinger.